Real Madrid CF plays at the Santiago Bernabéu, a stadium built in the late 1940s and renovated first in 1982 and then in 2001. Nowadays it has a capacity of 85,500 people. To be honest, the premises are fabulous but it’s always the fans that make a Real Madrid game one of the best things you can do in Seville. This is a detailed and comprehensive guide to help you choose the football tickets that will suit your needs best. 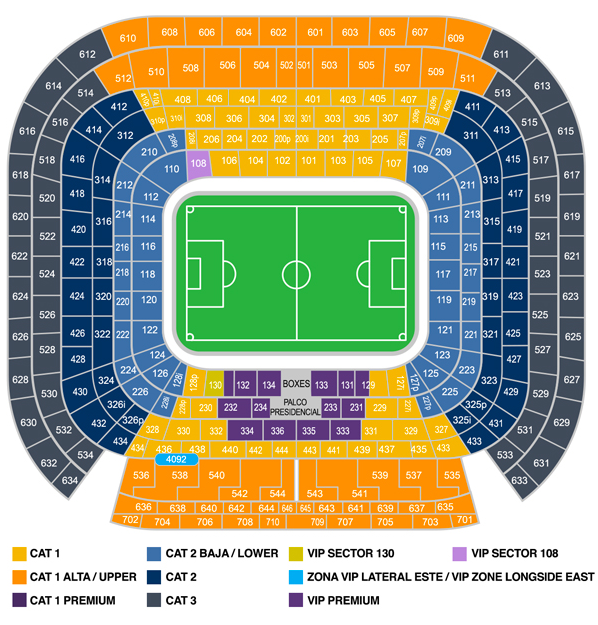 The large majority of Real Madrid CF tickets are available online. Avoid the hassle of box offices. Why waiting in line when you can get them instantly from your computer or device? Check the official calendar of matches and verify that Real Madrid CF play at home. As in any other sport event, Real Madrid Fútbol Club’s name comes first (e.g. 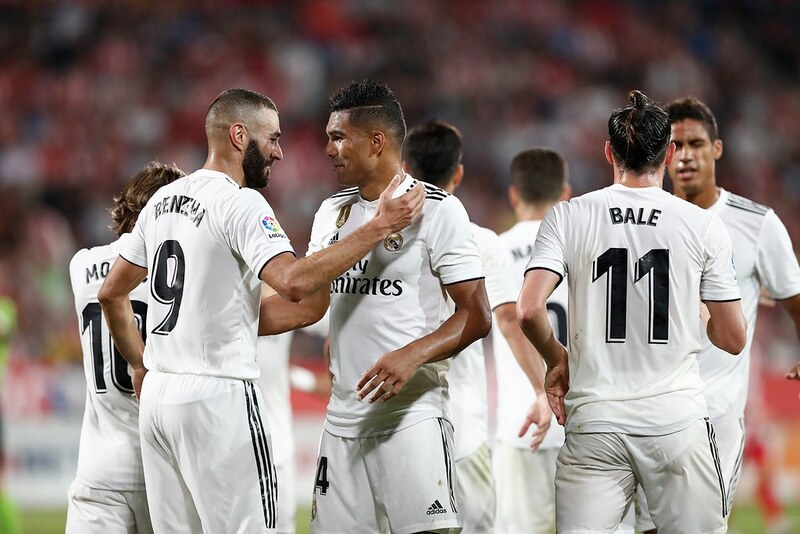 Real Madrid CF – Sevilla FC). The other way round means Real Madrid play away. The final date and time of the match are confirmed only a few days before. A match takes place on a Saturday, Sunday or Monday generally. It’s rare but matches can sometimes take place on weekdays if the calendar is tight due to other official competitions (Copa del Rey, Eurocup, Word Cup, or other events). With all these variables in mind, you shouldn’t expect to buy your Real Madrid tickets months or even weeks in advance. Unfortunately, because of the calendar’s uncertainty you will only be able to purchase your tickets a few days in advance. Nevertheless, Real Madrid CF and Atlético de Madrid never play at home the same week. In other words, there is a football match every single week in the city. Hence if you don’t mind to attend a match of either club, you always have a chance to get tickets. These four areas are divided in turn into six levels: tiered from the bottom (closest to the pitch), grandstand and tiers, three sides and four ends, the fourth tier being the highest sector of the stadium. These tips will help you select your seats. First and most importantly, have a look at the seating chart. For obvious reasons, the better the seat, the more expensive it is. The best areas in order importance are: Lateral Este, Lateral Oeste, Fondo Sur and Fondo Norte. The best seats are located on each side of the field, giving you the possibility to have one goal on your left and the other on your right. Among these, those closer to the midfield and in the mid stands are the best ones. It may be difficult to get seats to each other for certain matches, particularly those involving strong teams (e.g. Real Madrid CF or FC Barcelona) or their historical rival, Real Betis Balompié. Don’t miss out the experience and try to buy tickets in the same zone, they will be reasonably close to each other. The only sheltered areas inside the Santiago Bernabéu stadium are the Gradas Alta y Baja areas and the Tribuna back rows. The rest of the seats are uncovered (i.e. bring a raincoat or an umbrella if it’s cloudy!). The four areas of the stadium (Preferencia, East, North and South stands) are identified by different colors (blue, purple, green and red respectively), represented by colored bands at the top of the signs. There are several directories through the four towers of the Santiago Bernabéu stadium that schematically inform the location of each area. Have a closer look at your ticket so you can get to your seat easily once you enter the stadium. Puerta (Gate): Gate to get inside the stadium, sectors and seats. Vomitorio (Vomitorium): Designates the passageway leading to the stands, grandstands and tiers of the stadium, and through which you as a spectator can quickly leave at the end of the match. The vomitoriums are all identified with a number to facilitate their access. Sector: Once you’ve accessed the vomitorium, go to the sector corresponding to your tickets. Sectors are divided by corridors, so that even numbered seats are on one side and odd numbered seats are on the other. Each sector is represented by three figures, the first number being the one which determines the level in which your seats are located. The remaining two refer to the numbering of the sectors. These examples may be helpful: 1xx high tier, 2xx grandstand 3xx first tier… Don’t worry if you aren’t sure, or you get a little lost inside the stadium. The club staff will be happy to assist you at all times. Fila (Row): Now find the row where your seat is located. The row is marked on the stairs with a blue sign. Asiento (Seat): Finally, look for your number in the row of seats. Remember that the even numbers are on one side and the odd ones on the other. 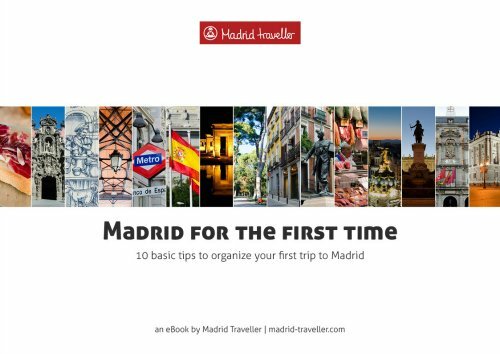 Once you are there, feel the electrifying atmosphere of the Santiago Bernabéu stadium and experience an exciting football match with thousands of other supporters!